On Saturday, I dragged the kids down to their school for our annual pillaging of the blackberry bushes. Well, basically, I pillage while they play on the equipment. The slope is too steep for them and is composed mainly of sand and, this year, I had the added bonus of the grass being cut and left to dry. So, it was slippery slope covered in slippery hay on slippery sand. Needless to say, I fell a few times. In order to keep the blackberries from spilling all over, I landed rather inconveniently on my knees. Which is not a good thing, falling into blackberry bushes. When will I learn to not wear shorts while doing this? Anyway, I picked a minimal amount to make jam, mostly because I figured if I kept at it I'd really injure myself. Sunday morning, I fired up the canner and went to work making this year's blackberry creation. 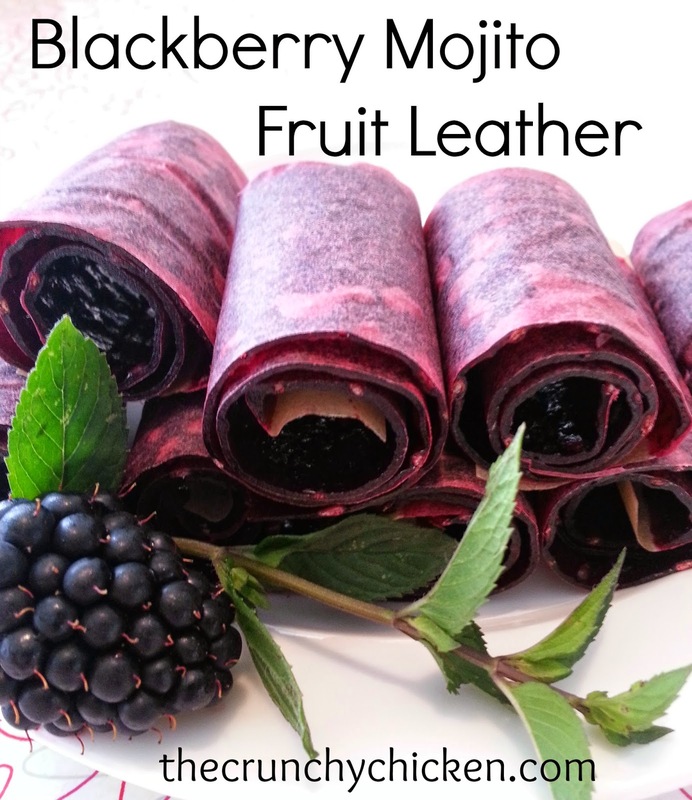 If you recall, last year I was all proud of myself with my Blackberry, Black Pepper and Aged Rum recipe. I thought I had peaked out with that one, it was so good. But, this year. We have grilled Hatch chiles. And, I thought why not throw some in the jam? I don't need to tell you how amazing this jam is. It's like a blackberry margarita with a hint of smokiness. If you want it spicy, double or triple the number of Hatch chiles and/or leave in the seeds. Heat the berries over high, adding in the grated lemon peel, pureed chile and blend. As the berries reduce, gradually stir in the fruit pectin. Bring mixture to a full boil until it cannot be stirred down. Add the entire amount of sugar and stir. Return to full boil and boil hard 1 minute, stirring constantly. Immediately take mixture off the heat and add in the tequila. Stir until the tequila is well incorporated and the alcohol is cooked off from the residual heat (it will reboil when you add in the tequila). Remove jars and allow to cool unmolested for 24 hours and store. Superb recipe you have there, i'll surely try it. Many thanks. I have been eyeing several prime patches of blackberries near my office. There is an ongoing debate amongst co-workers and the Husband and I, on what has been sprayed and what hasn't. How do you know what berries are safe? Dogs or Dollars - That's a great question. Our school uses IPM (integrated pest management), so I know they aren't sprayed, but it's an issue if you are going for wild patches. There's also the additional issue of patches near busy roads and the pollution from cars. I would imagine they aren't sprayed - but maybe look at the fruit for film? I love the addition of the chile's. Too many people shy away from them, but roasted (or grilled) they impart a lovely nuance to the sweetness of jams. I'd like to live someplace where blackberries grow! Not at this altitude, I guess. I'm not sure about the chilies though. I love them, and even Thai chilies don't make me cry, but with fruit? Send me a jar, and I'll let you know. ;) I'm now going to jump through that wretched word verification just to prove how much I deserve a jar of this to test. Muddle pineapple and lime with the chile in a shaker. Add tequila, Cointreau, simple syrup and ice. Shake. Serve straight up in salted martini glass.